HTML5 video is still a mess. 3, possibly 2 video formats, incomplete browser support, and bad UI for Android devices. Not all is lost. 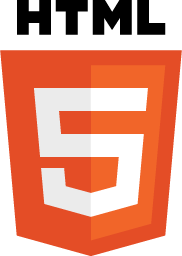 If you’re brave enough to create your own HTML5 videos on your site or blog, check out LongTail Video’s HTML5 Reference Guide. As I mention in the podcast, YouTube is one way to go to save yourself the encoding hassles. It also exposes your video to the huge YouTube audience and you get optimized video for all devices. KenMorico.com was one of the first Web sites that featured HTML5 video back in June 2010 and I learned a lot of lessons. But html5 video not working for me? just black background instead of html5. Do you know the reason. Maybe the video codec won’t play in your browser? I’ve seen that happen. Try it with other browsers. Also, try to validate the code using the W3C validator to make sure you have the HTML markup correct.